Click on each word that describes your tendencies relative to money. Once completed, click the 'SEE RESULTS' button below for your results. 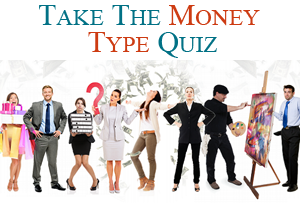 The Eight Money Types and the Money Type Quiz are excerpted from the book Money Magic by Deborah L. Price © Copyright 2001 All rights reserved. Used with Permission. Being able to work with Gail makes the future financial picture clearer so it's easier to make decisions today. Barbara Ende President, Sycamore Marketing Group Inc. It was an absolute pleasure to work with Gail on one of my first collaborative family files! She is the epitome of professional excellence and having her as a member of the collaborative team to provide guidance and expertise in terms of the financial issues was the key to our success. I have enjoyed working with Gail on numerous files. She brings neutrality and financial expertise which provides great value for spouses going through a separation. Gail's mediation training is especially useful in managing/diffusing what is often a very emotional and difficult time for many people. Gail, Thank you again for the information and advice you've imparted and the warmth with which you do. It is much appreciated! You truly are one of a kind. I can't believe it's really all done, Gail! And I can't imagine having done it without you. Thank you SO MUCH for your guidance through it all. And your referrals to Erik and Sandra. They too were so integral to the outcome. I wanted to say, Thank you again for chatting with me a couple weeks back; I found it extremely informative. You definitely have introduced a great service to those going through difficult times! Gail is very friendly and knowledgeable. And that the work is thorough and you are guaranteed to know way more about separation/divorce than when you started which makes you feel a lot BETTER. Gail's experience and insight helped me through a troubling period, saving both time and money over normal legal fees! I would recommend her and her services. I've known Gail for many years and find her to be a dedicated and caring person who works closely with her clients to provide options for the best possible financial outcome. Thanks once again for your work on our behalf. It is always such a pleasure dealing with you even though we have to discuss such and sort out our sensitive financial and family support matters with you. Also I appreciate your views on the bigger picture of the support and care for our young adults. © 2019 Money Matters Services & Solutions Inc. Designed by Ex Nihilo Designs.